Produced and engineered by Colin Thurston at Red Bus, Utopia, and Chipping Norton Studios. Winter 1980/81. Sleeve design: Malcom Garret / Assorted Images. Outer photography: Fin Costello. Inner photography: Terry Jones / Perry Haines. Producer and engineer: Colin Thurston. Technician: Renate. Saxophone on 'Rio': Andy Hamilton. Recorded at Air, London. Spring 1982. Sleeve design: Malcom Garret (Assorted Images). Illustration: Nagel. Photography: Andy Earl. Tr. 5 produced by Nile Rodgers and Duran Duran. Engineered by Jason Corsaro. Recorded in London. Other tracks produced by Duran Duran. Engineered and recorded by George Tutko. Engineered and mixed by Jason Corsaro. Recorded around the world 1984. Musicians: Andy Hamilton, Raphael De Jesus, B. J. Nelson and Charmaine Burch. Sleeve produced by Assorted Imges. Outer photography by Mike Owen. Produced by Nile Rodgers with Duran Duran. Engineered and mixed by Daniel Abraham. Musicians: Steve Ferrone, Andy Taylor, Nile Rodgers, Warren Cuccurullo, Mac Gollehon, Jimmy Maelen and The Borneo Horns (Lenny Picket, Steve Elson and Stan Harrison), Curtis King Jr, Brenda White-King, Tessa Niles and Cindy Mizelle. Cover: John Swannell, Christy Turlington, Frank Olinsky/Manhattan Design. Produced by: Tracks 1-5 Colin Thurston. Track 6 Ian Little and Duran Duran. Tracks 7-8 Alex Sadkin, Ian Little and Duran Duran. Track 9 Nile Rodgers and Duran Duran. Track 10 Bernard Edwards, Jason Corsaro and Duran Duran. Tracks 11-12 Nile Rodgers with Duran Duran. Tracks 13-14 Duran Duran, Jonathan Elias and Daniel Abraham. Photographs by Laura Levine, Virginia Liberatore and Denis O'Regan. Cover and album art by Stephen Sprouse. Graphics by Hans Arnold. Track 10 written Taylor, Taylor, Taylor, Rhodes, Le Bon, Barry. All album tracks writeen by Taylor, Rhodes, Le Bon, Cuccurullo, Campbell. 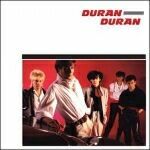 Produced by Chris Kimsey in association with Duran Duran. Engineered by Christopher Marc Potter. Assistanat Engineer: Michael Bulterworth. Musicians: John Jones, Spike Edney, Stan Harrison, Luis Jardin, Roddy Lorimar, Bernard Fowler, Carol Kenyon and Tessa Niles. Photography by Ellen Von Unwerth. Calligraphy by Ruth Rowland. Designed at Icon London, Los Angeles. Track 8 written Duran Duran, Milton Nascimento. Track 10 written Lou Reed. 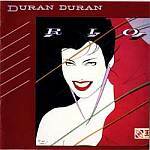 All tracks produced by Duran Duran and John Jones except 'Come Undone' and 'Femme Fatale' produced by Duran Duran. Mixes by David Richards, David Leonard, Duran Duran and John Jones. Recorded in Privacy, London. Musicians: Steve Ferrone, Vinnie Colaiuta, Bosco, Tony Taverner, Stuart Every, Lamya and Tessa Niles. Vocal samples on track 4 courtesy of Karen Hendrix and Jack Merigg. Art direction: Nick Egan &amp; Duran Duran. Design: Nick Egan &amp; Eric Roinestad. Tr.1 written Glover, Robinson. Tr.2 written Stewart. Tr.3 written Reed. Tr.4 written Costello. Tr.5 written Dylan. Tr.6 written Shocklee, Sadler, Drayton. Tr.7 written Pop, Bowie, Gardner. Tr.8 written The Doors. Tr.9 written Whitfield, Strong. Tr.10 written Page,Plant. Tr.11 written Duran Duran. Tr.12 written Stewart. Produced by Duran Duran. 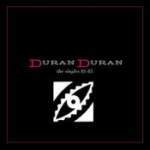 Tracks 5 &amp; 12 produced by Duran Duran and John Jones. Engineering by Ken Scott, John Jones, Tony Taverner, Avril McCintosh and Steve Churchyard. Musicians: Steve Ferrone, Terry Bozio, Tony Thompson, Roger Taylor, Abe laborial Jr., Anthony J. Resta, Grand Master Flash and The Furious Five, Mele Mel, Lamya, Curtis King, Tessa Niles, Maxanne Lewis, Mark Volman, Howard Kaylan, Lee Oskar, Jonathan Elias, Bruce Dukov, Ron Folsom, Armen Garabedian, Henry Ferber, Berj Garabedian, Joy Lyle, Michelle Kikuchi-Richards, Maria Newman, Pamela Goldsmith, Scott Haupert and Suzi Katayama. Art direction by Duran Duran and Eric Roinstad. Photos by Ellen Von Unwerth. 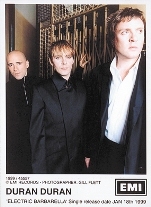 Tracks 1,2,10 written by Rhodes, Cuccurullo, Le Bon, Taylor. 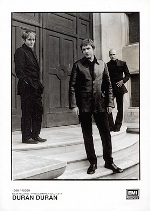 Tracks 3,4,5,6,7,8,9,11,12 written by Rhodes, Cuccurullo, Le Bon. Produced by TV Mania. Associate producer: Simon Le Bon for Syn Pro Tokyo. Engineering and programming: Mark Tintley. Mixes by TV Mania, Mark Tinley, Anthony J. Resta and Bob St. John. Musicians: John Taylor, Steve Alexander, Anthony J. Resta, Dave Dicenso, Tim Garland, Talvin Singh, Jake Shapiro, Sally Stalpleton, Madeleine Farley and Mayko Cuccurullo. Art Direction: Duran Duran &amp; Andrew Day. Exclusive US release 2-CD album set including 11 classic remixes plus enhanced Bonus disc featuring New Moon On Monday - Extended Mix available only through the link to the Duran Duranwebsite! Presented in a unique digipak picture sleeve and housed inside a die cut card outer slipcase. 2-CD album set featuring Night Versions and Remixes. All tracks written by Rhodes, Le Bon, Cuccurullo except Pop Trash Movie, written by Rhodes, Cuccurullo. Produced by TV Mania in association with Syn Productions. Engineered by Mark Tinley and Ken Scott. Programming: Mark Tinley. Mixes by Chris Lord-Alge, Ken Scott and TV Mania. String Arrangements: David Campbell. Musicians: John Tonks, Steve Alexander, Greg Bissonette, Luis Conte, Guy Farley and Sally Boyden. Art Direction: Duran Duran and Andrew Day. 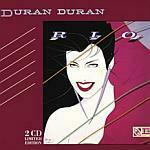 All tracks written by Duran Duran. Co-produced by Don Gilmore, Dallan Austin, Nile Rodgers and Duran Duran. Pre-production, programming and engineering by Mark Tinley. Engineered by Don Gilmore, Dallas Austin, Rich Hilton, Daniel Mendez, Rick Sheppard, Francesco Cameli, Richard Edgeler and Dean Barret. Additional programming: Jake Roberts, Jason Nevins. Mixed by Jeremy Wheatley at Towhouse Studios, London. Musicians: Lily Gonzalez, Guy Farley, Sally Boyden, Tessa Niles. Recorded at Sphere Studios, London. Mastered by Leon Zervos at Sterling Sound, NYC. Art: Faile, Toru Yoshikawa, Clarissa Tossin, Sean Hogan, Bernie Beca, Patty Palazzo, John Warwicker and Sara Syms. CD 6: Do You Believe in Shame? Music by Duran Duran and Nate Hills (1, 2, 5, 7, 8, 10, 11 & 12), Duran Duran, Timbaland, Justin Timberlake and Nate Hills (3), Duran Duran and Justin Timberlake (4), Duran Duran, Timbaland and Nate Hills (6 & 9). Lyrics by Simon Le Bon with additional lyrics by Timbaland (6) and Timbaland and Justin Timberlake (4). Produced by Nate Hills, Jimmy Douglass and Duran Duran (1, 2, 5, 7, 8, 10, 11 & 12), Timbaland, Justin Timberlake, Nate Hills and Duran Duran (3), Timbaland, Nate Hills and Duran Duran (6 & 9) and Justin Timberlake (4). Guitar: Dom Brown. Saxophone: Simon Willescroft. Additional vocals by Timbaland, Justin Timberlake, Jim Beanz and Terri Walker. Art Design: Patty Palazzo, John Taylor, Nick Rhodes and Kristin Burns. Special Collectors Edition 27-track 2-CD album set. This 2009 edition comprises UK release of the album, the original US album remixes, EMI Manchester Square demos, B-Sides, remixes and more. Presented in a sealed textured hard-back bookstyle picture sleeve complete with a 52-page booklet. 3-CD album set comprising a 40-track collection. Re-issue. 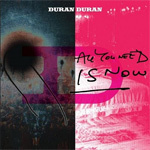 Tracks 7 and 9 written by Duran Duran. Tracks 2, 3, 4 and 8 written by Duran Duran and Dom Brown. 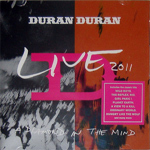 Tracks 1 and 6 written by Duran Duran, Mark Ronson and Dom Brown. Track 5 written by Duran Duran, Mark Ronson, Dom Brown and Ana Matronic. Produced by Mark Ronson and Duran Duran. Recorded and edited by Joshua Blair at Sphere Studios, London. Additional recording by alalal at Eastcote Studios, London. Additional recording and engineering assisted by Samuel Navel at Eastcote Studios, London; Dan Parry at Metropolis Studios, London; and Nick Taylor at Air Edel Studios, London. Mixed by Mark 'Spike' Stent and assisted by Matty Green at Mixsuite, Los Angeles. Mastered by Ted Jensen at Sterling Sound, New York City. Guitars and guitar synth - Dom Brown. Newscaster on track 7 and the voice of satellite navigation on track 2 - Nina Hossain. Artwork by Clunie Reid. Original Photography by Nick Rhodes. Design by Rory McCartney. Art Direction by Heath/McCartney for Studio POP. Live in Manchester at the MEN Arena on 16 December 2011. Recorded by, mixed by Andrew 'Snake' Newton, mastered by Mazen Murad, design - Rory McCartney, photography by Sarah Jeynes, Stephanie Pistel, Tony Wooliscroft, photography by (cover) - Nick Rhodes. Executive-producer - Wendy Laister. Skin Divers, exclusively licensed to Eagle Rock Entertainment Ltd. An Eagle Records release. Eagle Records is a division of Eagle Rock Entertainment Ltd. Recorded at Battersea Park Studios, London. Additional recording at Zelig Studios, London, and The Village, Los Angeles. Engeneered by Josh Blair. Mixed by Mark 'Spike' Stent at Mixsuite, UK and Battersea Park Studios. Assistant Mix Engineer: Geoff Swan. Mastered by Ted Jensen at Sterling Sound. Artwork: Alex Israel. Creative Direction: China Chow. Art Direction: China Chow, Brian Roettinger, Axel Israel. Logo: Brian Roettinger. Photography: Nick Rhodes. Executive Producer: Wendy Laister. Management: Wendy Laister and Sharon Cho for Magus Entertainment. Highlights from the last show of the Paper Gods tour, at Nippon Budokan in Tokyo on September 20, 2017. This RSD 2018 release includes songs from Paper Gods, such as "Pressure Off" as well as classic hits like "A View To A Kill" and "Save A Prayer". 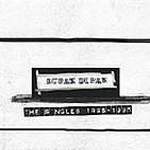 Release Date: 4/21/2018, Format: LP, Label: Warner Bros., Quantity: 3000, Release type: RSD Exclusive Release.